Hydrohub Alkaline Water Outlet is enhancing the quality, image and service of the planet’s #1 consumption item…Water! To serve and satisfy the modern tastes and demands of thirsty, health-conscious consumers, Hydrohub proudly offers a superior form of drinking water products and services, developed to better hydrate and heal. By delivering the inherent benefits of premium, mineral alkaline, reverse osmosis (and premium non-alkaline R.O. drinking water) both affordably and conveniently, Hydrohub Alkaline Water Outlet strives to exceed conventional drinking water sources by quenching consumers with the exceptional hydration and overall value they deserve. Visit Hydrohub’s outlet today, located by Fry’s at Ina and Thornydale. 3720 W. Ina Rd. Suite 118, Tucson AZ 85741. HYDROHUB: To your Hydration, Health and Happiness. Hydrohub came to be out of necessity, pure and simple, kind of like the water in which it provides. There was a time when a thirsty man would drive 14 hours round trip from Southern Arizona to Southern California sometimes twice a month for nearly two years just to load a car with drinking water and return home. Only it wasn’t just drinking water. Ask yourself, would you travel so far for so long for “just” water? For close to two years he would make this run, stocking up on a superior product that he couldn’t obtain anywhere in Southern Arizona but that he clearly could not live without. For so long this went on until finally, enough was enough. It was time to make a change, a decision that would not only improve his own life but one that could also create an opportunity to offer enhancement in the lives of others in his own community. What could be better? With this and a unique twist, he would bring the source of this superior hydration and all of its inherent benefits back home so that finally, it could be readily available and enjoyed by all! 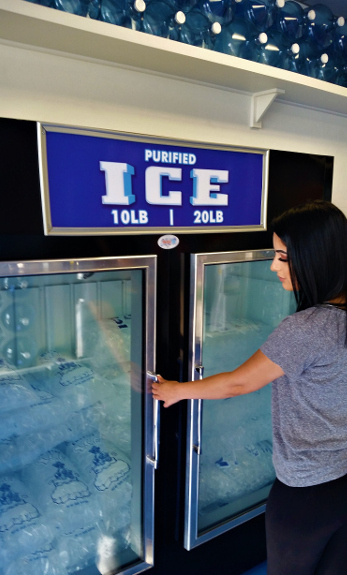 Today, Hydrohub Alkaline Water Outlet is proud to offer thirsty Southern Arizonans the same exceptional drinking water product that its creator had come to love. Now, you too can receive the superior level of drinking water quality and benefit you deserve with a “Water Run” to your local source, now more accessible, affordable and convenient than it ever was before.